For the 8th successive Le Mans 24hrs we will be back in France managing the Travel Destinations Private Campsite on the Porsche Curves. Featuring pre-allocated pitches, 24 hour security with food and drink on site, for the third year running our guests will also have exclusive access to the viewing bank on one of the most exciting set of corners in motorsport. ETC Event Management will be running the full management of the Private Campsite for Travel Destinations Ltd including set up, customer care and break down. In the main marquee our staff team of caterers will be cooking up a variety of feast once again, and for the 6th year running the CJ Edwards Band will be back for two nights of atmospheric entertainment. Our bar is back with Spitfire Ale, Lager, Cider and locally sourced wines, as well as the much needed coffee to keep our customers going throughout the race. If you haven’t already booked, you can do so on the Travel Destinations Website here. In association with Retro Rides, we are are hosting a Gathering at the beautiful Chateau Rive Sarthe, approx 30mins drive from the Le Mans circuit, on Friday 8th July. This event is completely free and there will be food and a bar on site. Any and all vehicles are welcome to talk cars, the Classic and bask in the glory of the epic Chateau and its grounds. We had another great wedding fair at Detling recently promoting our sister company Honeybells South East. Pictured is part of our stand, the LOVE sign! There was lots of interest in our Honeybells Bell Tents for both Weddings and Hen Parties for this year and beyond - we were particularly impressed with the couple planning for 2019! People are beginning to get excited for the Glamping season, which we LOVE! After another positive meeting with Canterbury College today I thought it worth writing a note about how awesome they are! 3 years ago we trialed a relationship with their catering department to bring a workplace opportunity to their highly talented catering students. Its been a roaring success, and has now led us begin working with the Events and Hospitality course as well for 2016. The most important thing for us at ETC Event Management is that this relationship allows the students real life workplace experience at busy, dynamic events - something that is difficult for the students to come by. We are looking forward to this relationship flourishing in the year to come with 16 workplace opportunities available at our events! I'm really pleased to write that we have just secured the running and management of the Exclusive Campsite on the Porsche Curves again for 2016. 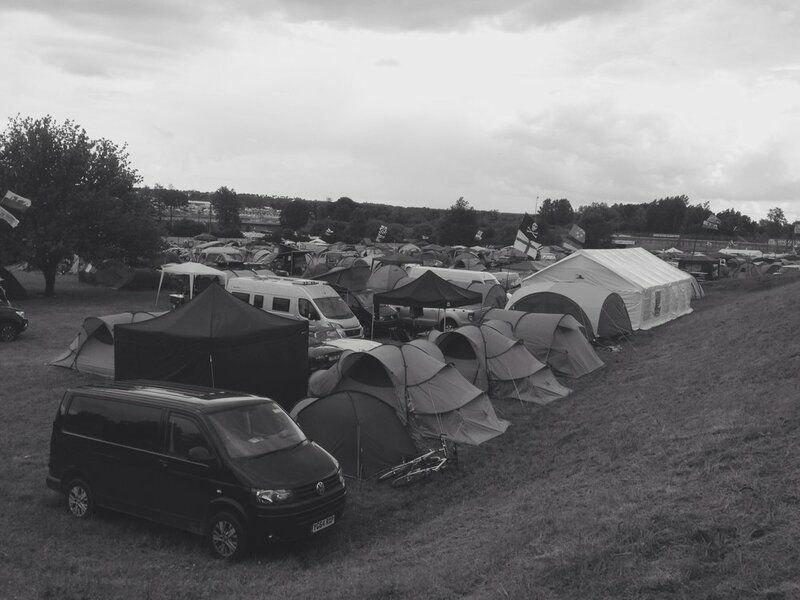 For the seventh consecutive year we will be running this site on behalf of Travel Destinations Ltd. Once again the site will have exclusive access to the viewing embankment for our guests, making it the most sought after campsite at Le Mans. To find out more of what this site will offer please check out our events page. The newly wed couple enjoyed their first night of marriage in our Honeybells Honeymoon tent after their fancy dress style wedding at Orsett Showground this weekend. Their guests chose a variety of options, a few opting for the standard tent but most going for the Luxury so they could glampin style! 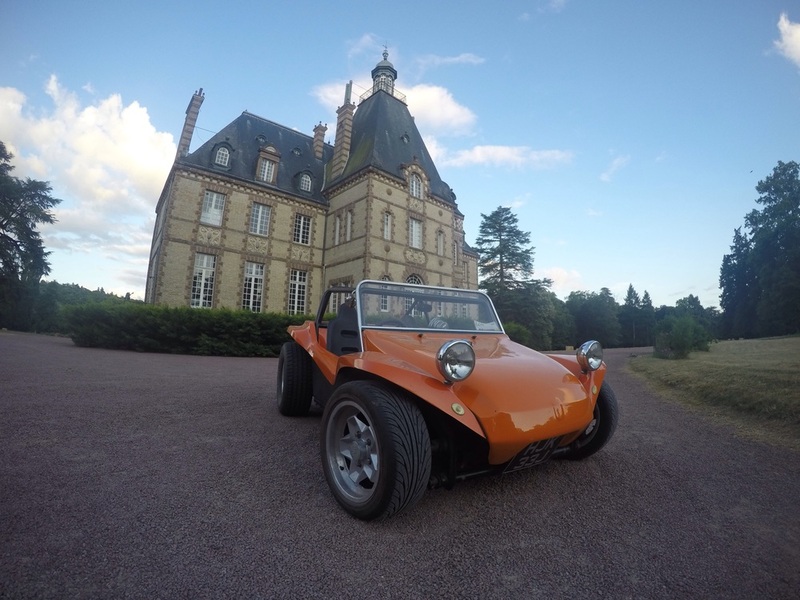 The very first Retro Rides Summer Holiday was hosted by ETC Event Management at our stunning Chateau Rive Sarthe near Le Mans in July. A small but dedicated RR following joined us for a weekend of camping in the tranquil grounds of the Chateau. Drives out to the Le Mans circuit for go karting and a tour of the circuit by our very own Sam were attended by all, despite a few mechanical issues along the way. 2016 is already confirmed and will be hosted on the same weekend as the Le Mans Classic - 7-11th July - put the date in your diary now! What a great weekend we had for this years Le Mans 24 hours race on Porsche Curve.